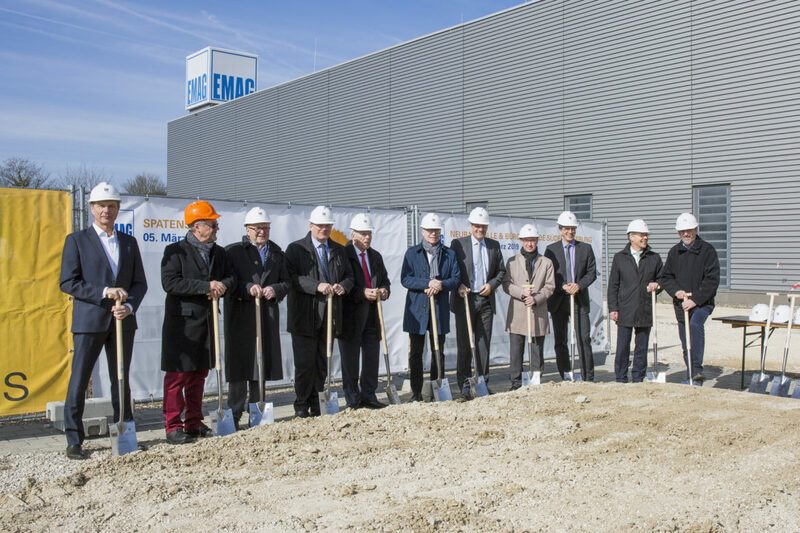 EMAG builds a new production and office facility in Salach. Markus Heßbrüggen, Managing Director of EMAG GmbH & Co. KG, explains the background: “We are clearly on course for extended growth. Over the last few years we have been able to land a large number of major projects. Time and again, this has exhausted our spatial capacity. Recently we have even rented additional space in the Göppingen area.” – Now it’s time for the next step: A 10,000 square meter building will be completed by the end of 2018 next to our main building in Austraße in Salach. It will include a 6,000 square meter production hall and a 4,000 square meter space with offices, meeting rooms, and social areas. “This investment is a clear commitment to the location. From here, we will press ahead at full speed with our plans for more positive development,” emphasizes Heßbrüggen. 1. Flexibility: Machine manufacture and its customer industries are going through a transformation – For example, the components in the automotive industry are changing very quickly, as are the required production solutions. EMAG will therefore construct a production plant at Salach that is highly flexible. This will make it sustainable for the future, as the equipment and structure can be adapted to new developments. 2. Sustainability: Many factors play a role here. For example, high-quality materials are used exclusively. Even after decades they do not need to be replaced. The exhaust heat of the machines is also used to heat the building. 3. Workplace quality: EMAG needs highly qualified employees who can use their know-how to drive technological progress. In many ways the building lives up to this standard. “When it comes to its construction, we are currently looking at the how an assembly workplace should be designed for the future, or how modern logistics might look. The employees will benefit from this,” explains Markus Heßbrüggen.